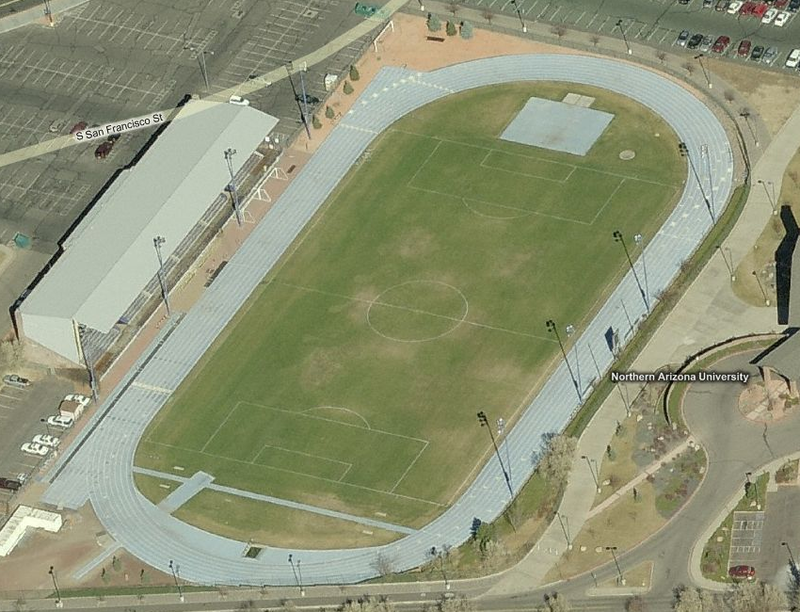 Today’s track is located on the campus of Northern Arizona University. The NAU track was recently resurfaced, and the stadium renovated. The Lumberjacks also have a new throws facility. Among their alumni is our featured Team USA member Lopez Lomong, who moved up from the 1500m, where he was a 2-time US champion (2009, 2010), to run the 5,000 in London. He finished 4th in the qualifying round to advance to the final, where in wound up in 8th place. Lomong, a Sudanese refugee, was the US flag bearer for the opening ceremony in Beijing. His amazing story of triumph over tragedy can be found on his website here. Be sure to check it out if you aren’t familiar with his background.